Today, I’ve been having conversations about how unique thinkspace is compared with Bellevue shared office space companies. I would say the things that make it different is that our space really is the next version of what is known as the “executive office suite & business center industry plus the concept of hot desking”. In Web 2.0 terms, one might call us an “office space mashup”. A mashup of shared office space, meeting rooms, virtual offices, and coworking space. Earlier this summer, I attended BarCamp Seattle. 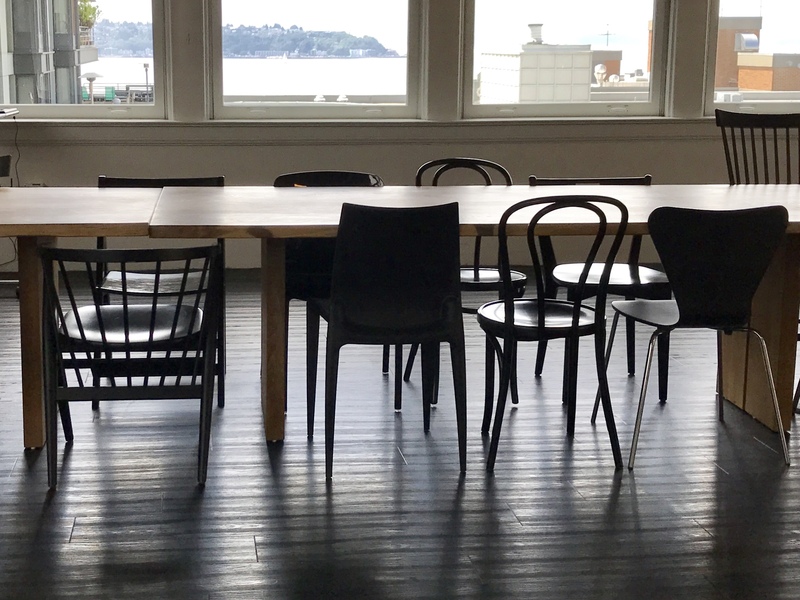 I sat on a panel with a few other people that are running coworking space in and around Seattle. I mentioned that I feel that much like how there’s a paradigm shift with the Internet where the emphasis was on commerce but has since shifted to people, your office space no longer needs to be in the hub of the downtown core, rather, it’s shifting to locations closer to where people live. It’s no longer a drive in to the downtown, rather, it’s now a walk or bike ride to the place where you work. I think this is partly due to the global energy crisis, rising energy and fuel costs. Susan at Office Nomads wrote a blog post about Coworking and Transportation. I whole heartedly agree with her comment “coworking is a part of the future of working and sustainable neighborhoods”. A few other components that makes this space different is our focus on community and sustainability. Our vision is to create a place a great community for SMB’s to build sustainable businesses on the Eastside. It’s about building community inside our space as well as being a part of the business community in Redmond. We are active in the Redmond Chamber of Commerce as well as within the online Biznik community which starts with online connections that turn into face-to-face meetups. We are using our large meeting rooms to host learning and networking events inside our space. This helps allow people that are running businesses to make meaningful connections with other people that they might not otherwise come in contact with. Photos from BarCamp Seattle 2008. Read Part 2 of Office Space 2.0 (Part 2) – Who uses Shared Office Space & Coworking Space.